Properties in South Australia average 4.6 out of 5 stars. Property 26: Tintookie Vineyard- Fabulous views & lots to do. 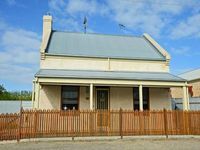 Property 29: Centrally Located in the heart of Goolwa - All Towels & Linen Included! Property 35: THE STABLES: Heart of Robe. 100m Shops, Beach. LOCATION LOCATION!